Last night, Peter Beinart, journalist and author of The Crisis of Zionism, addressed the Executive Forum of of the Council. 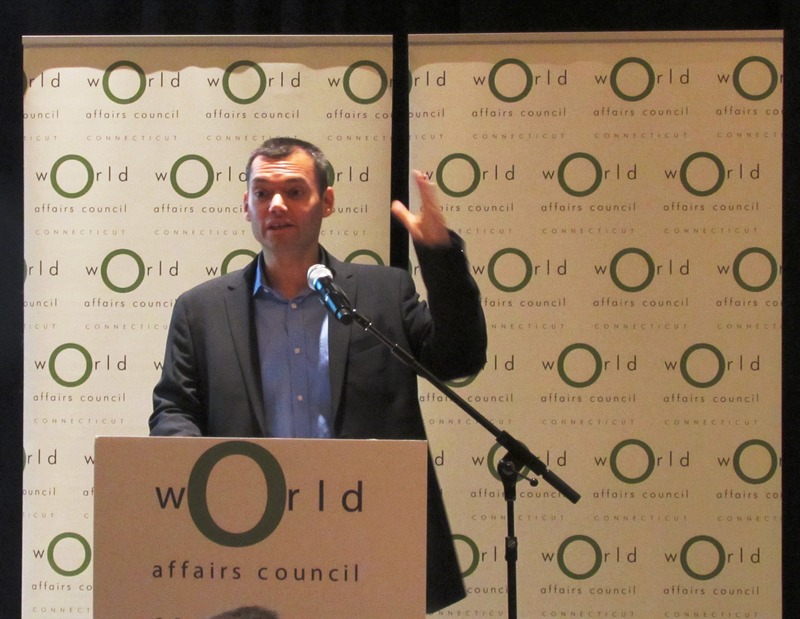 Beinart discussed relevant topics in the Middle East such as the Israeli-Palestinian conflict, the recent violence in Gaza, ISIS, and connections between American Jewish groups and Israel. 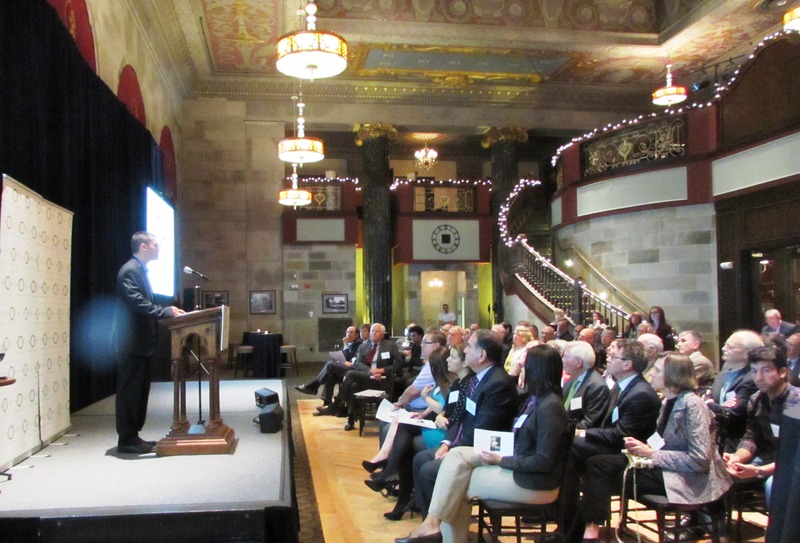 His depth of knowledge on each subject became clear as he spoke about trips to Israel and conversations with Jewish leaders in the U.S. and in Israel. Beinart began the speech discussing the dangers of increasing the amount of settlements in the West Bank. He explained his dissonance with American Jewish leaders’ views of Israeli state policy. Beinart expressed that Israeli actions toward Palestinians are overly violent and sometimes ineffective. Beinart believes American Jewish leaders’ continued defense of these actions against Palestinians have created a rift between leaders and young Jewish Americans. Beinart hopes that American Jewish leaders and organizations are open to criticizing Israeli policies instead of steadfastly defending them, since they are willing to openly criticize the policies of other countries. Only at this point, Beinart thinks, would young Jewish Americans feel more comfortable connecting with these groups. Beinart not only expressed his opinions based on facts, which he explained after every point, but also emphasized his beliefs with several references to religious texts. He discussed the need to return to the morals of each religious text and reexamine the meanings of each holiday. The ethics learned from moments of weakness that are stressed in American interpretations of Jewish holidays should be applied despite Israel’s position of power. Peter Beinart speaks to a full audience at The Society Room in Hartford, CT. The presentation ended on an optimistic note. Beinart called to action Jewish American young adults to chart a new connection to Israel that would create a more sustainable democracy. He believes that there must be a greater regard in the future for the sanctity of lives than the sheer idolatry of each parcel of land. Beinart hopes that this generation can make the necessary changes to Israeli policies that would allow Israel to flourish more peacefully in the future.